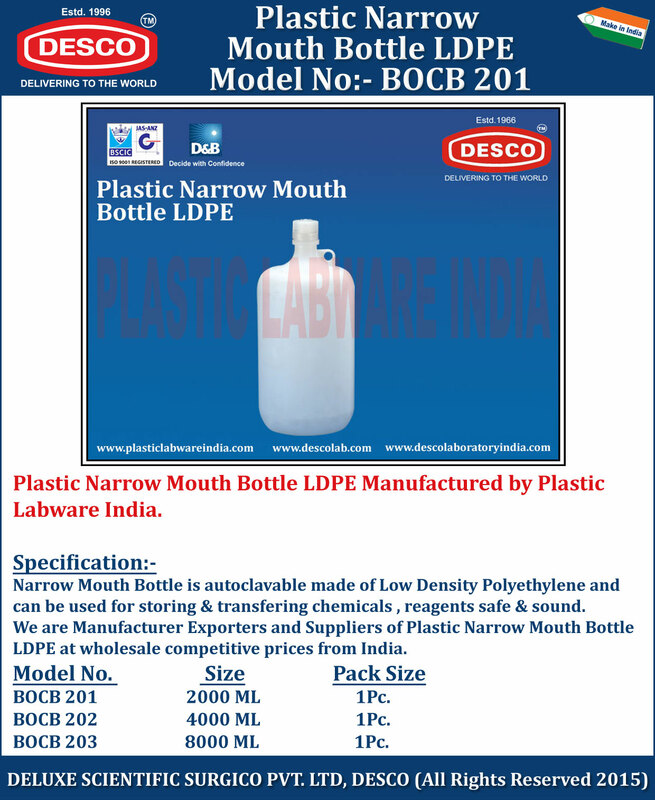 Narrow Mouth Bottle is autoclavable made of Low Density Polyethylene and can be used for storing & transfering chemicals , reagents safe & sound. We are Manufacturer Exporters and Suppliers of Plastic Narrow Mouth Bottle LDPE at wholesale competitive prices from India. BOCB 201 2000 ML 6 Pc. BOCB 202 4000 ML 6 Pc. BOCB 203 8000 ML 6 Pc.